Today we had another wonderful day backcountry skiing in the Mores creek Summit area. It was a relaxed day with two friends ski touring for their first time. 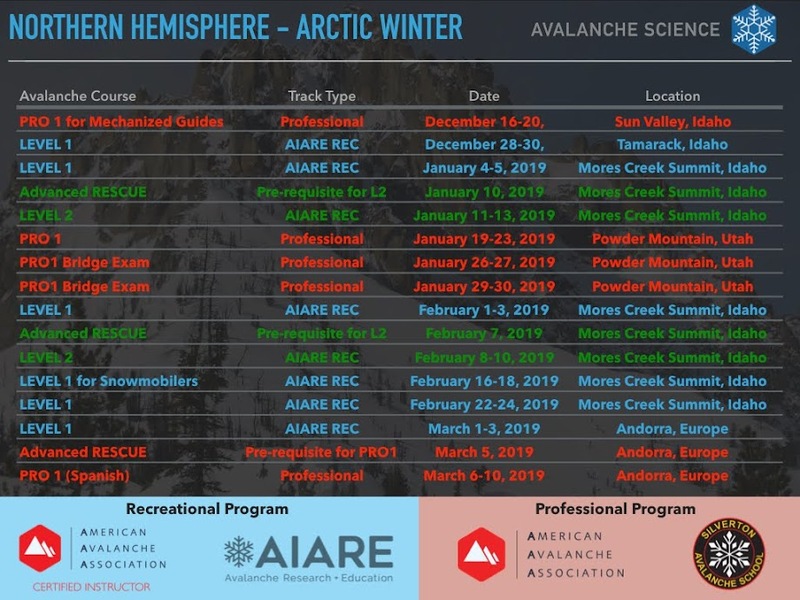 Winter Corner is a perfect place to introduce individuals to backcountry skiing due to its easy access, so it was decided to spend half a day there. 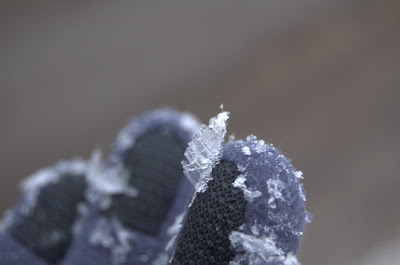 The surface hoar I observed during Christmas Day continues to build up, and the crystals are getting pretty big. Check the following sample of pictures my son Fritz and I snapped during the day. We observed strikingly large deposits of surface hoar (SH) everywhere, and it seems to be present in every aspect and at all elevations in the Mores Creek Summit area. 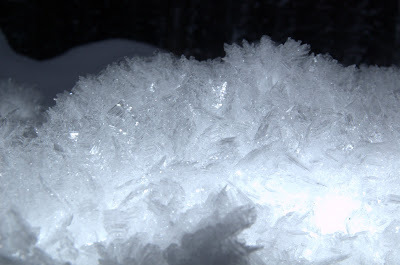 Any open slope, meadow, or snow surface that is exposed to the clear and cold dark sky of the night has advance formation of large surface hoar crystals. 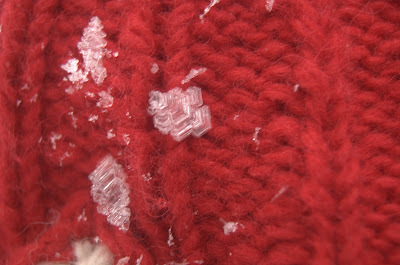 These crystals are notoriously dangerous when buried, and slab avalanches associated with surface hoar can occur in relatively shallow angles and be remotely triggered from far away. Be mindful that once the SH layer is buried, because it is a persistent weak layer, and considering the large sizes of the surface hoar crystals, it will take considerable time for the snowpack to get rid of it. The skiing was fine in open slopes due to the "near surface faceting" (NSF) or recrystallized snow. But treed sections in the slopes (shaded from the night sky, thus snow NSF metamorphism is hampered) were crusty or had a breakable crust that made skiing unpleasant. So, until we get more snow, ski in open slopes, that is where the best snow can be found. If you watched the above video of my friends doing their last turns of the day, near the bottom of the hill, it is obvious that at the 6000 feet level it is BRUSHY! If you want to get out of the brush, go for longer tours, and ski above the 7000 feet level. snowpack depth less than a meter deep. extremely weak basal structure 65 cms below the snow surface. fracture propagation potential on the basal weak layer below the December 17 new snow slab. Compression test results at the NW aspect and 6500 feet elevation evaluated were surprisingly "easy" (CT with scores of 2 and 3) with "sudden collapses". In addition a fracture propagation test [PST 20/100 (END) 65 cm down] suggested that the weak basal structure is still capable of propagating an energetic fracture accompanied with a "sudden collapse". 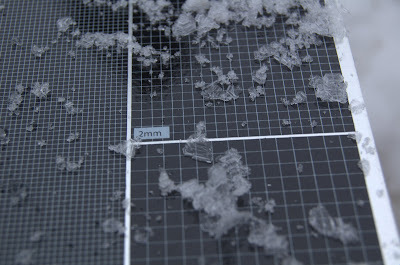 A finding of concern was a thin and subtle melt-freeze crust under the top 10 cms of NSF snow. I did not find this crust layer at N or NE aspects last December 25th. But the combination of a thin crust layer at West aspects, a layer of NSF, and a topping of surface hoar is a perfect set-up for avalanches. We are just missing the slab, but if the weather predictions hold, we might have a slab by the weekend. So as the winter progresses - we will have to carefully track this complex combination of weak layers and make conservative decisions. During yesterday tour we noticed that the most visible ski lines at Pilot and Freeman are getting tracked. Fortunately a snow refresh is coming starting tonight, and continuing on Thursday. And elaborating on tracks - we noticed the MANY tracks at "Top of the World" bowl from snowmobiles. We need to politely and in the MOST friendly manner explain to our friends snowmobilers, that "Top of the World" bowl is not within the boundaries for their use. And they can access easily a lot of more terrain minutes away to the West of Pilot Peak.